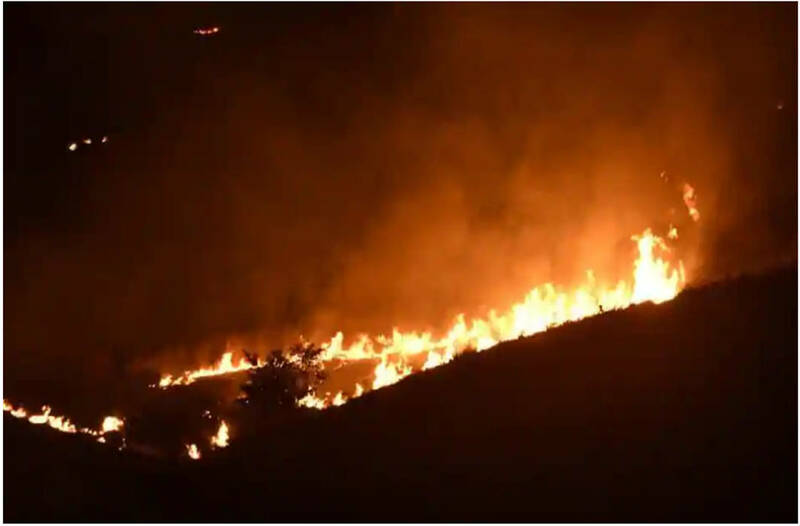 A major fire erupted in the Aarey forest near Goregaon suburb of north-west Mumbai on Monday (Dec 3) evening. The fire broke out behind Infinity IT Park at General AK Vaidya Marg, Dindoshi. Teams of the Forest Department, Mumbai Fire Brigade and other agencies were battling the blaze amidst fears that it could destroy the rich the flora and fauna in the region. The Sanjay Gandhi National Park region has a variety of big and small wildlife including leopards, peacocks, deer, and hogs, besides a variety of insects, birds and plant life.